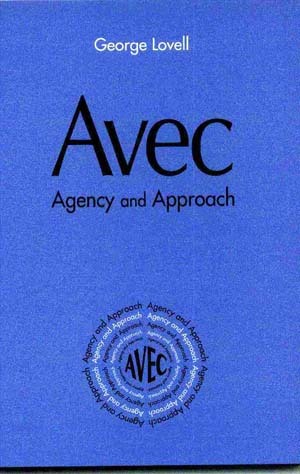 This book is about Avec, a national ecumenical training and consultancy agency for church and community development, based in Chelsea from 1976 to 1994. Essentially it is a case study of the factors which enabled and disenabled a small organization to provide a wide range of services to clergy, religious and laity of all denominations working in the UK, Ireland and in several other countries. It covers the period 1976-91. Avec is not an acronym. It is simply French for “with” and has become a byword for church and community development approaches, particular ways of analysing and designing work programmes, and a distinctive mode of work consultancy. These features and those of the courses are described. It discusses contemporary needs and resources. Extensive appendices contain valuable background information. This book is highly relevant to individuals, churches and organizations seeking to provide in-service training and consultancy services to those who work with people for human and spiritual development. "This book is the biography of a brave organisation. Here is the story of the attempt of two dedicated, highly professional individuals (one Methodist, one Roman Catholic) to help their colleagues, their clients and their institutions (churches for the most part) enter into the rich possibilities of the non-directive approach to social and personal change."